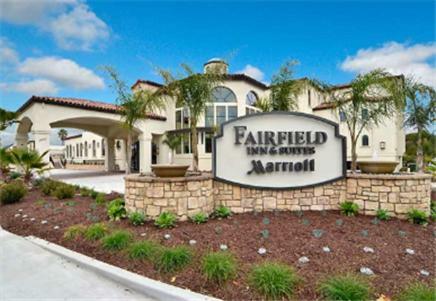 A new all-suite property near the beach with free Wi-Fi free breakfast an outdoor pool hot tub and bocce ball court the non-smoking Fairfield Inn & Suites Santa Cruz/Capitola gets high ratings from our guests. Built in 2011 this three-story Mediterranean-style hotel houses 84 suites with all the amenities a business traveler or vacationing family might need: separate living areas with sofa beds desks with digital plug-in-panels LCD TVs with premium cable mini-fridges microwaves free coffee iPod docks and two cordless speakerphones with voicemail. Guests seeking to set a mood can opt for an in-room fireplace and jetted tub. The sleek and colorful public areas include a sun-filled lobby beer and wine bar 24-hour fitness center business center 24-hour market and stylish fireside veranda where guests can catch ocean breezes while savoring breakfast goodies like waffles eggs and breakfast sandwiches. Parking is free. The hotel is a 10-minute walk from the Capitola Mall Shopping Center and a 15-minute walk from the beach fishing wharf and charming boutiques along Capitola's coast. The historic Santa Cruz Beach Boardwalk is four miles away. San Jose International Airport is 35 miles away. 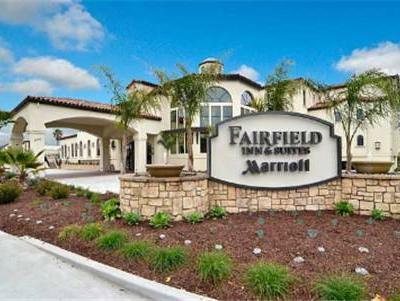 The "attractive" new Fairfield Inn & Suites Santa Cruz/Capitola boasts "sleek and modern rooms" an "abundant" breakfast and location that's "convenient to Santa Cruz Aptos and Capitola." "Good location, covered parking garage. Very accommodating when I requested a late checkout." Cancellation Policy: Any cancellation received within 2 days prior to the arrival date will be charged for the entire stay. If you fail to arrive or cancel the booking, no refund will be given. Photo Policy: The reservation holder must present a valid photo ID and credit card at check-in. The credit card is required for any additional hotel specific service fees or incidental charges or fees that may be charged by the hotel to the customer at checkout. These #START_PHOTO#charges#END_PHOTO# may be mandatory (e.g., resort fees) or optional (parking, phone calls or minibar charges) and are not included in the room rate. Pre Pay Policy: $248.49 will be charged to your credit card. Step 3: Stay with us! Book It Now! Disclaimer: It is the responsibility of the hotel chain and/or the individual property to ensure the accuracy of the photos displayed. INNsight.com is not responsible for any inaccuracies in the photos. Note: The credit card will be charged immediately for the full amount of the reservation.